Cordless string trimmers like the EGO ST1502SF provide all the power and runtime most homeowners need. For those with acres to trim, the gas-powered Echo SRM-225 still makes sense. For more modest properties, the corded Black & Decker GH3000 weed whacker is a good alternative. The EGO ST1502SF gets top ratings for smooth trimming and easy handling from pros and consumers alike. 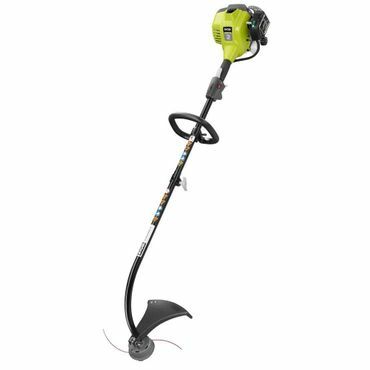 It's one of the more powerful cordless models available, with the ability to handle tall grass and weeds that rivals that of lightweight gas models. Starting is easy, and the weed whacker is generally described as easy to use. Expect 35 to 40 minutes of run time before a recharge is needed. 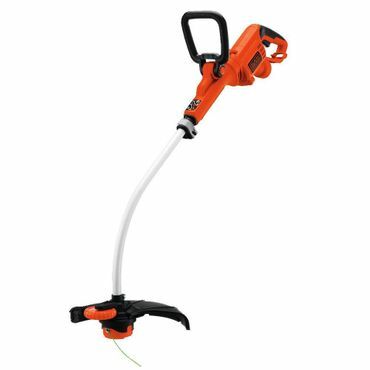 The corded electric Black & Decker GH3000 string trimmer offers great value and good performance. There's only one cutting line, but that doesn't stop it from being a competent performer with all types of cutting tasks. 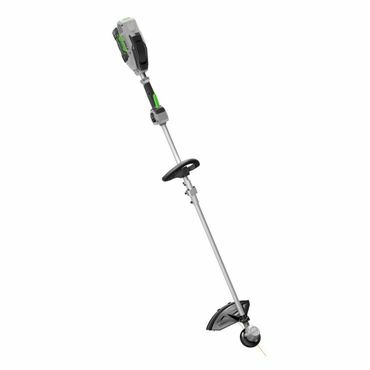 Pluses include a swiveling head and a wheeled edge guide, which makes use as an edger both easier and more convenient. Weighing in at less than 7 pounds, this curved shaft edger is easy to handle. Experts say the heavy-duty Echo SRM-225 gas-powered string trimmer is a cut above the rest, reliably mowing down even the toughest grasses and weeds. Durability impresses, as does the five-year warranty for residential use. Cutting power is described as "nearly explosive" in one expert review. Users are similarly impressed. At 12 pounds, it's on the hefty side, but handling and ergonomics are generally well liked. For half the price of the Best Reviewed Echo SRM-225, the Ryobi RY252CS is a good option for homeowners who need the power and range of a gas weed eater. It is versatile, too, with the ability to accept compatible attachments such as a cultivator, blower and hedge trimmer. It's also quiet for a weed eater, which should get a thumbs up from neighbors. However, it's not as ruggedly built as our top pick. Cutting the cord on your electric weed eater gives you the mobility of gas models (discussed below), but without needing to deal with gasoline and its downsides -- fumes, higher maintenance, and harder starting. There's no limit to their range, but run times will depend on the battery, and/or whether you have spares on hand. These are the lightest and least expensive type of weed whacker. They have the power to deal with even tall grass, but their range is limited as they must always be tethered to an AC outlet. Still, if your property is on the smaller side, they are a reasonable alternative to a cordless model. If your property is large, and there are lots of weeds and other growth to trim away, gas models are a reasonable choice. Gardening and landscaping professionals might also look to a gas string trimmer first as well. But keep in mind that gas weed whackers are heavy, harder to handle than electric models, and require more maintenance. String trimmers leave a crisp edge along the driveway, cut grass growing beyond your lawnmower's reach and tidy up growth along fence lines. 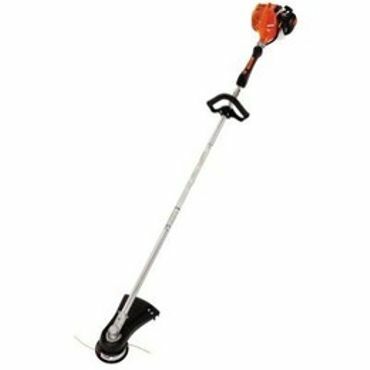 Also called grass trimmers, weed whackers, lawn trimmers and weed eaters -- the last a brand name that has become a generic term, much like Kleenex for tissues and Xerox for copy machines -- the setup is the same: A power source rapidly turns a cutting head, using tough, nylon line to shear grass and weeds. People generally mow first, then trim, so be sure to read our reports on lawn mowers or, if you have lots of property to look after, lawn tractors to round out your lawn-care needs. Grass trimmers pack lots of power, enough to strip bark, mar a wood deck and fling debris up to 50 feet away. That makes safety equipment a must. Always wear safety goggles to protect your eyes, and ear protection if the noise of the trimmer is above 85 decibels; keep the head of the tool angled away from your body. Long pants, sturdy shoes and a good pair of gloves are also recommended to protect against flying debris. Consider your property when selecting a string trimmer. A smaller weed eater is enough to manage trimming around flowerbeds and a walkway. On a large property, especially one with long fence rows, driveways, multiple buildings and the like, look to a more powerful, heavy-duty model -- though keep in mind that these types of weed whackers are usually among the heavier and more expensive options, making them overkill for smaller suburban plots. Ergonomics are important, too. A balanced trimmer will hang at the right angle for easy maneuvering, whether you're trimming flat or turning it to edge. Most trimmers automatically advance the trim line, although some require you to tap the trim head on the ground to do so; reviewers say either type is acceptable as long as it works smoothly. Reloading new trim line into the spool should also be uncomplicated. "String Trimmer Reviews & Edgers"
To find the best weed eaters, editors looked to experts at Consumer Reports, Popular Mechanics, OPE Reviews, Wirecutter, Top Ten Reviews and elsewhere to see which weed whackers excelled in hands-on testing. These tests and reports narrow down the choices to the ones that perform best when used by experts that are familiar with weed whacker performance and have the breadth of expertise to know how a particular model stacks up against the competition. Next, to see how well string trimmers performed in real-world conditions, we turned to user reviews. Sites such as Home Depot, Lowe's, Sears and Amazon were most helpful for that. Though there are certainly exceptions, users don't have experience with as many models as the pros, but they can often provide insight into the long term performance and satisfaction with specific weed whackers that they own. The final step is boiling down the feedback from users and experts to find a consensus on which string trimmers meet or exceed expectations, and which ones fall a little -- or a lot -- short. Considering factors such as performance, safety, ease of use and more, the results of our research and analysis are our picks for the best string trimmers for anyone from a casual gardener to landscaping pro.